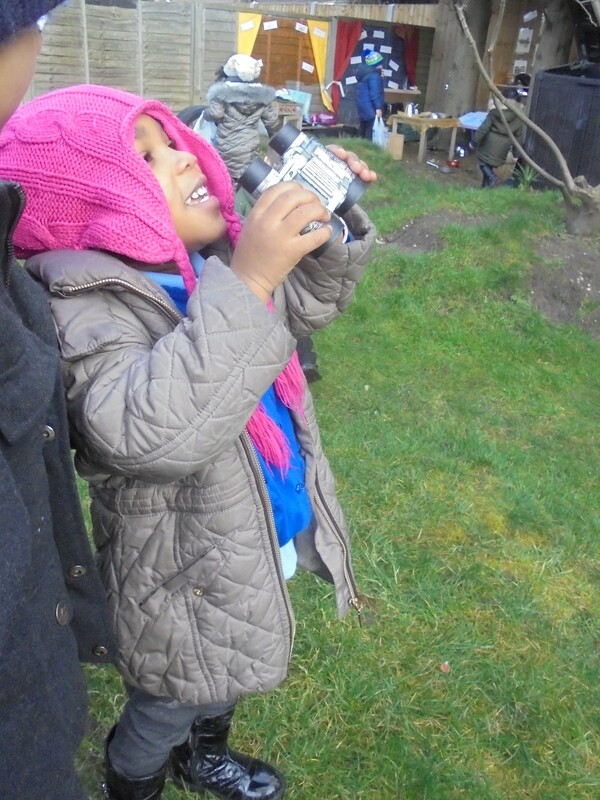 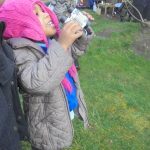 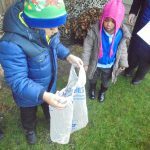 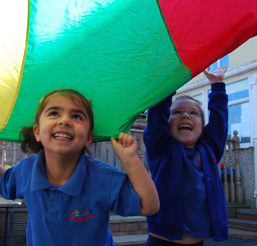 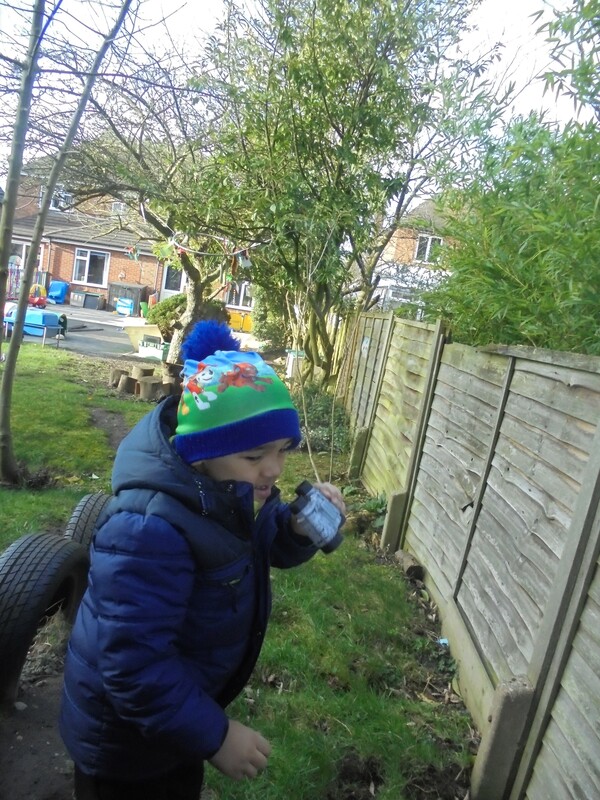 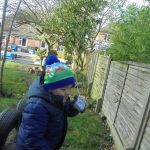 After seeing magpies and pigeons from the nursery window, the children continued their learning by taking binoculars outside to birdwatch in the garden. 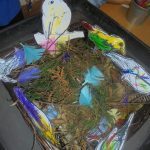 They looked for different kinds of birds, and talked about how they make their nests, and what they eat. 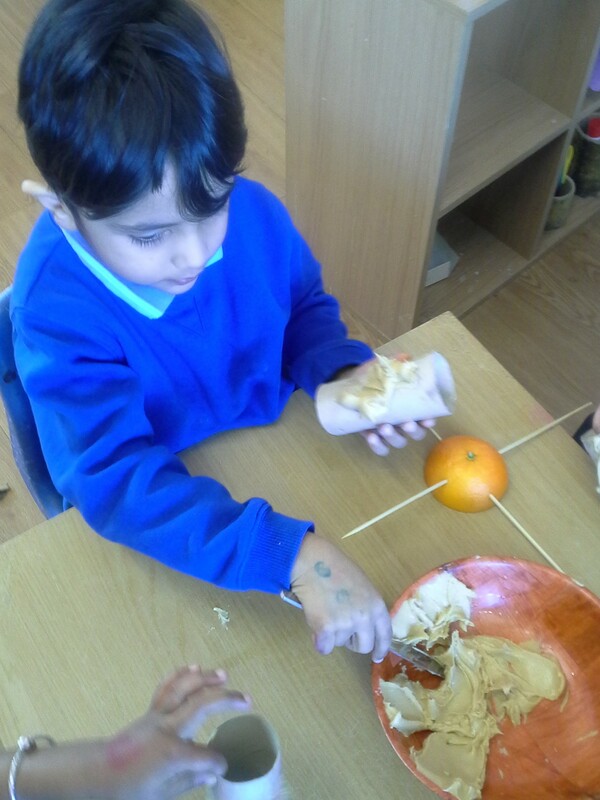 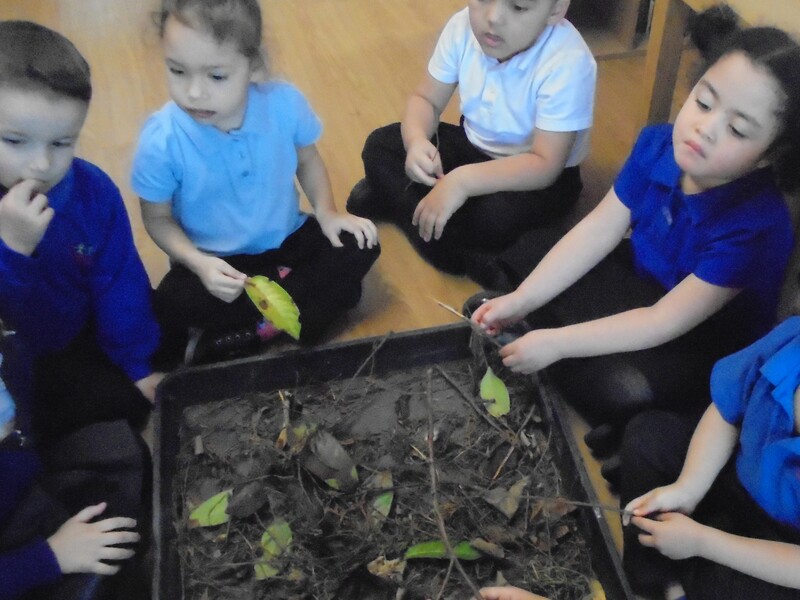 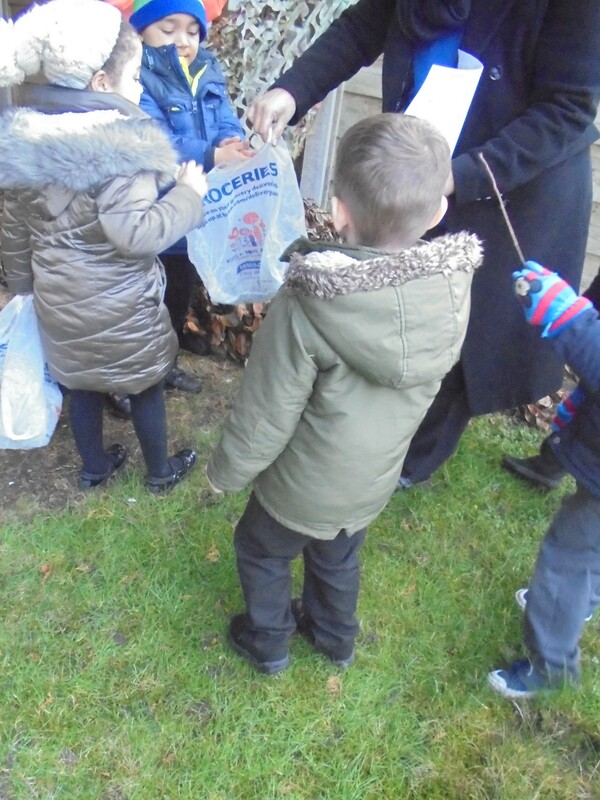 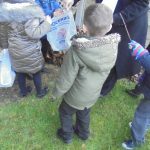 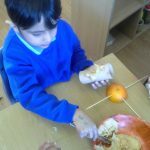 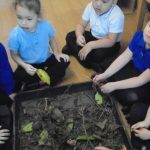 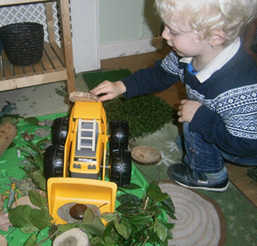 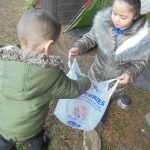 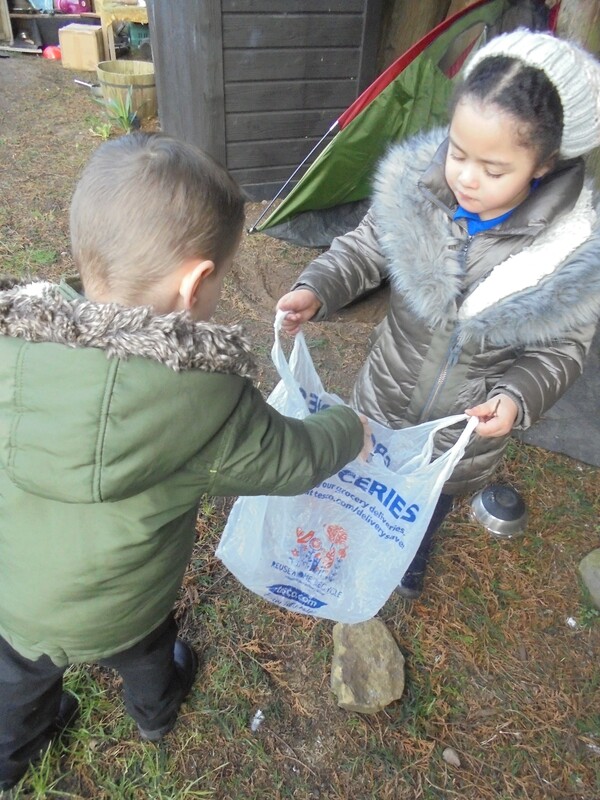 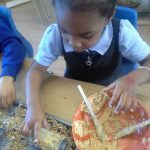 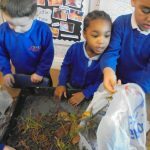 The children decided to collected twigs & leaves to make their own nests. 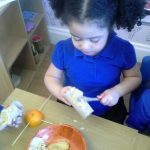 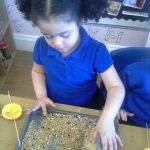 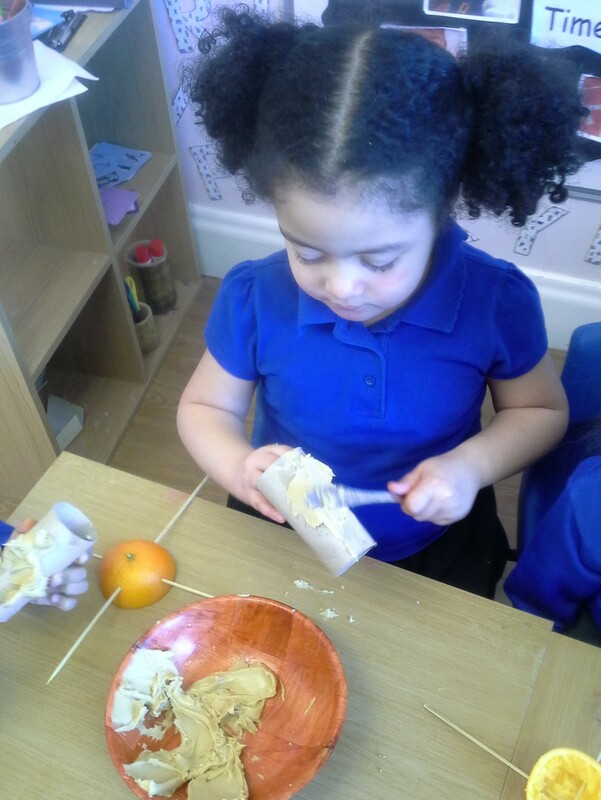 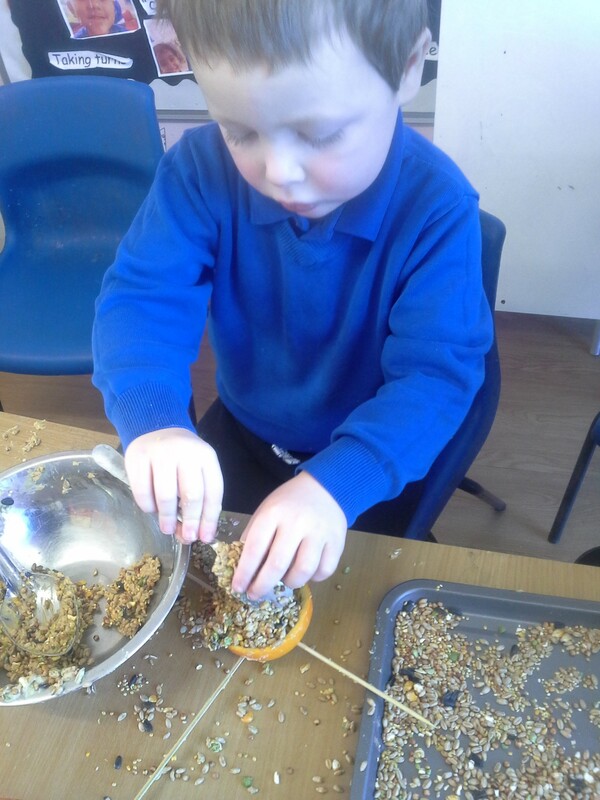 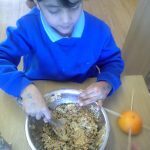 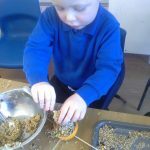 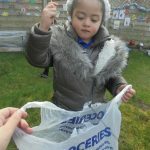 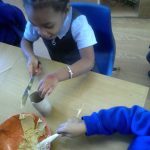 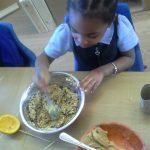 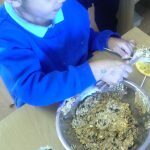 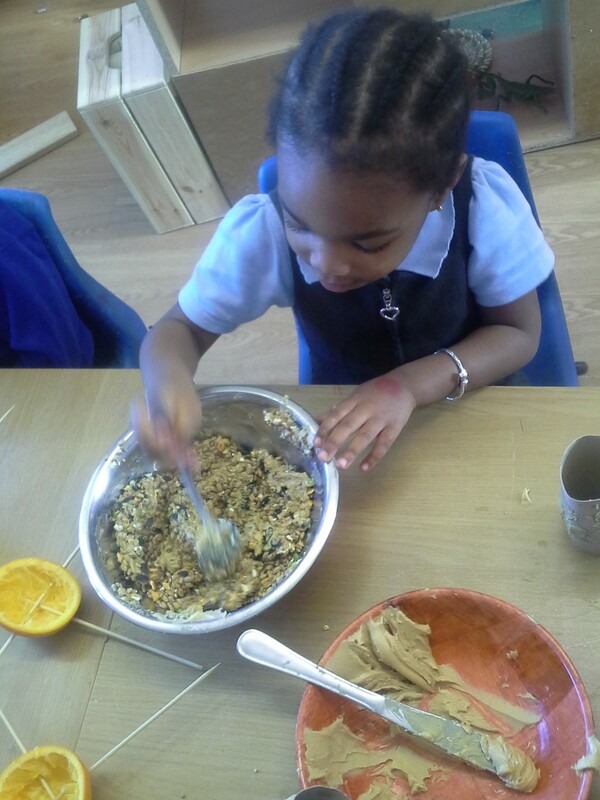 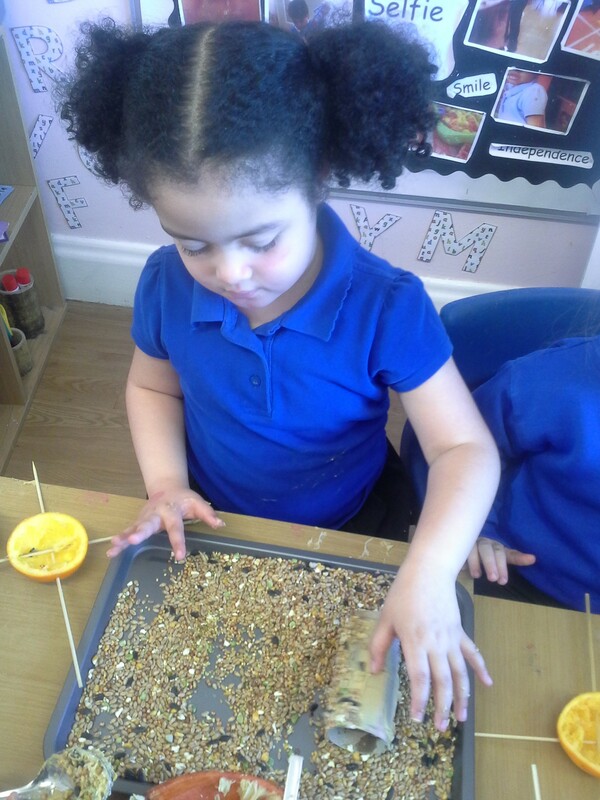 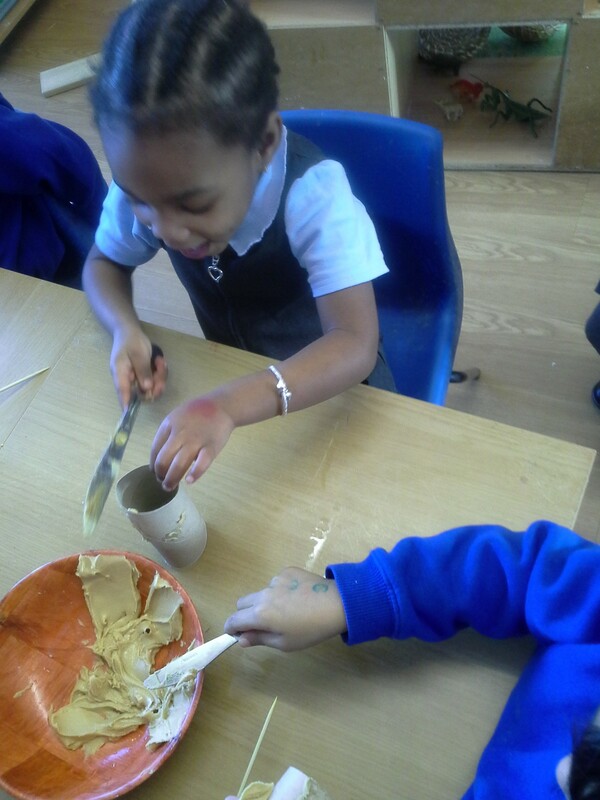 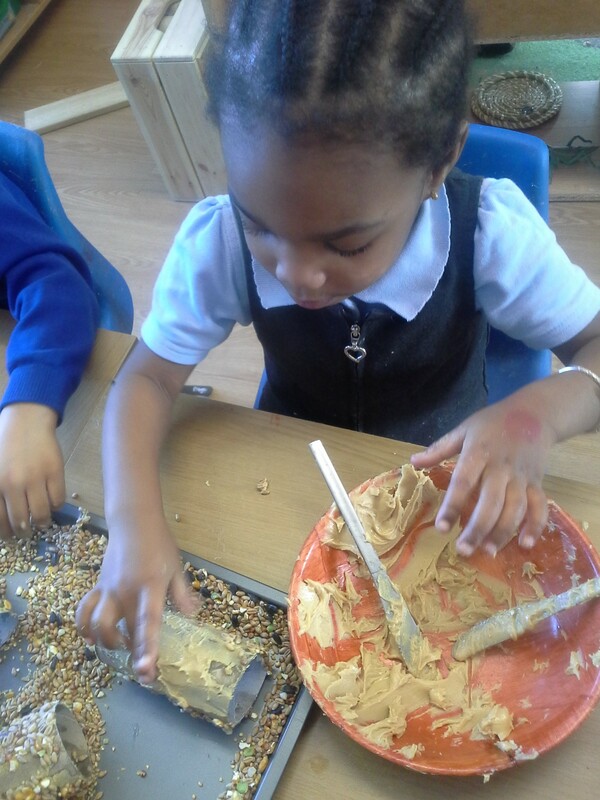 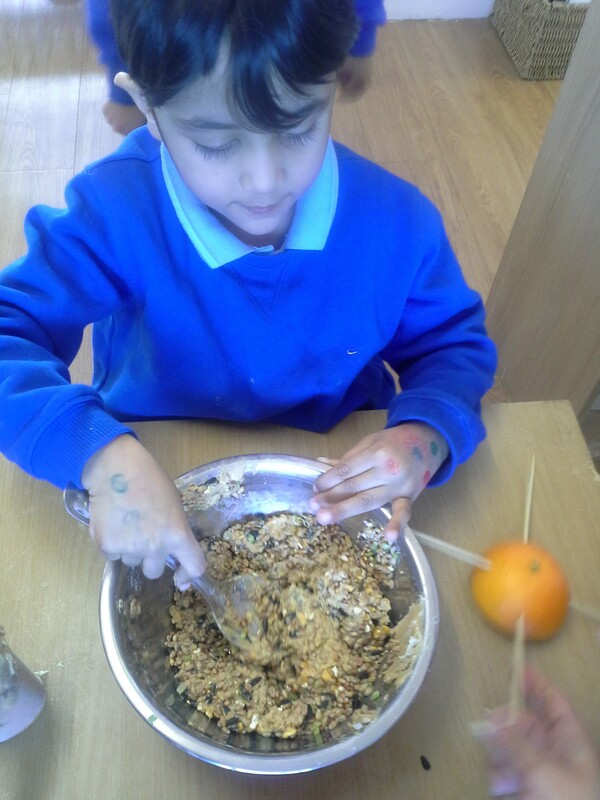 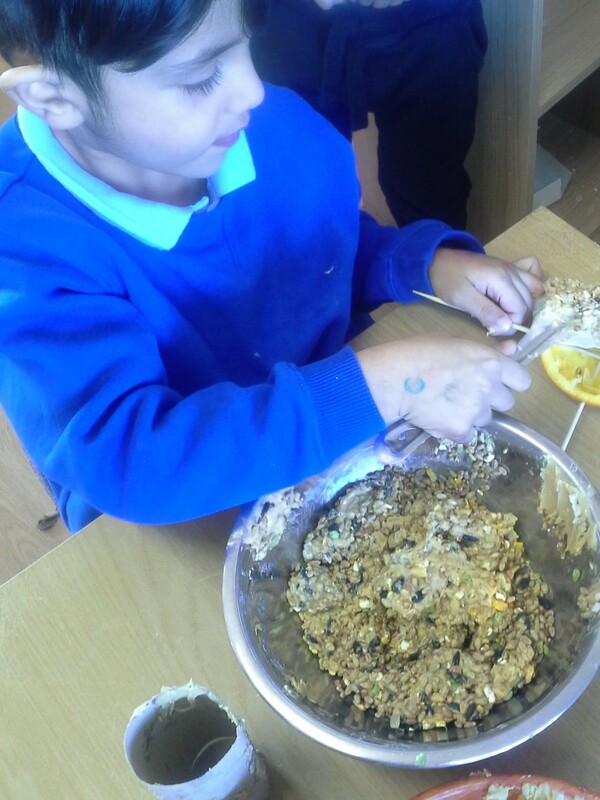 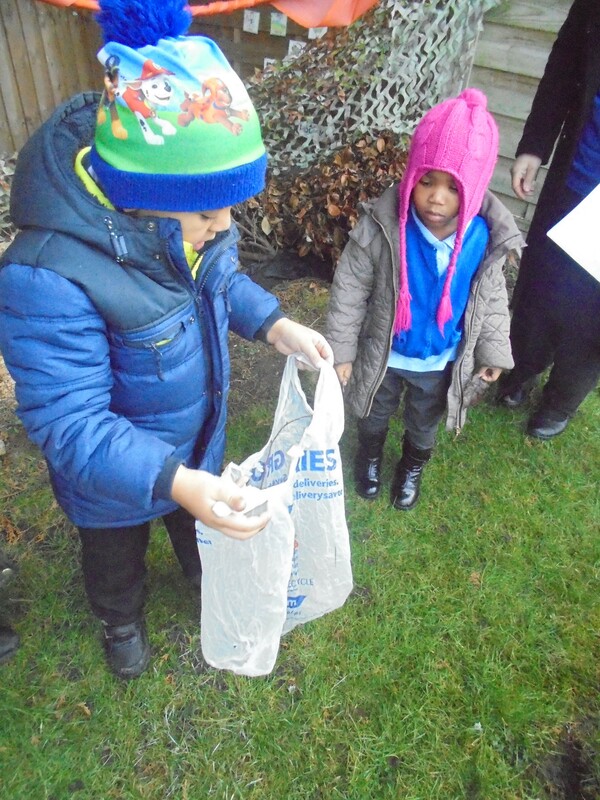 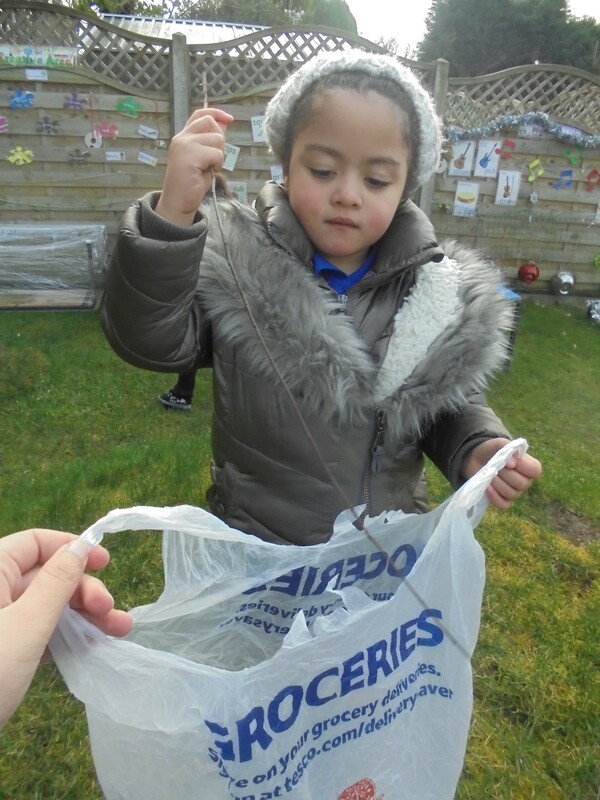 They also made bird feeders to take home to put in their own gardens so they can continue to watch birds at home.